Best White Sneakers Under £50? Here at MFM we adore ties, bow-ties and pocket squares. Just check our back-catalogue for this admiration. We’ve written about each of the following, expressing our beliefs of how and why they’re important. So, when we heard of Robinson and Dapper we knew we had to write about it. Robinson and Dapper, a Scottish-owned business based in Denmark is all about what we love – they sell bow ties, skinny neck ties and pocket squares. Above all, each item has its own story. Robinson and Dapper only use Scottish wool, because Scottish wool is known for being of a high quality. Similar to a lot of brands, Robinson and Dapper give their products names and stories… adding a personal touch. There’s a sense of real passion and genuine interest with what they have to sell. Robinson and Dapper is not just another store that sells ties, bow-ties and pocket squares, it’s a store that believes these items give another layer to an outfit. This belief transcends into their vision which is all about mixing heritage fashions with modern designs. You can see the result yourself in the above images – the multitude of colours up for offer, with a vintage twist on an accessory that has become modern. Each item has its own historic origin, making your tie that bit more personal. In addition, their products have such an incorporation of colours, weaves and weights of wool that it makes the ties both smart and casual – perfect for every occasion, no? As you know, we love specificity and Robinson and Dapper is all about it. 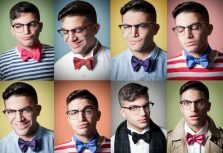 They are passionate about bow ties, skinny ties and pocket squares, bringing vintage and old traits into the 21st century. Their products are modern, colourful and above all stylish. Check them out by clicking here, buy a bow-tie and feel that genuine Scottish wool. Every guy wants to dress better, and MFM is your daily dose of men’s fashion and style. Focusing on style education features, fashion news, and connecting the modern day man to the menswear industry, we’re here to help. 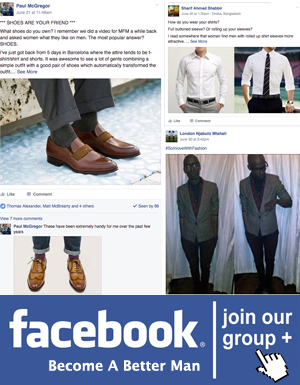 We are an online mens fashion magazine, and have been running since 2011. Covering a wide variety of topics such as men's fashion trends, style tips, news from the industry, and the latest sale offers, MFM has been labelled the number one online resource for men's fashion and style. Driven by a group of fashion enthusiasts, our team work hard providing you with regular articles to enhance your personal style. Looking to find out more about Paul, the Founder of MFM? He has his own personal blog sharing personal insights into style, fitness and personal development. For any personal enquiries, or if you're looking to unlock your full potential, create more freedom in your life and feel the best (and look the best) you ever have... then visit Paul's blog here. Copyright © 2017 - Mens Fashion Magazine LTD.